I had a bunch of caramel cubes left over from making my Apple Caramel Cookies so I decided to make a Coffee Cake! I was surprised how easy and moist the cake turned out. I only had to get sour cream as all of the other ingredients are common staples in any baking recipe. 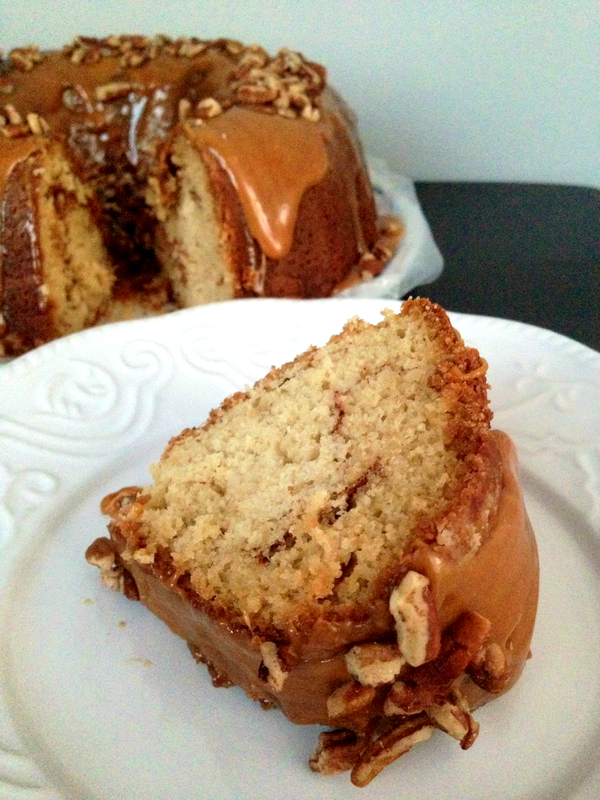 In the end I combined two recipes together, as I wanted a caramel topping to the coffee cake. To make the caramel icing I used caramel squares and also topped the cake with some chopped pecans. The only issue was that the caramel turned out super sticky, so it easily stuck to any aluminum or plastic wrap when I covered the cake. Definitely a great fall dessert to bake if you are going to a dinner party or having people over for a meal! 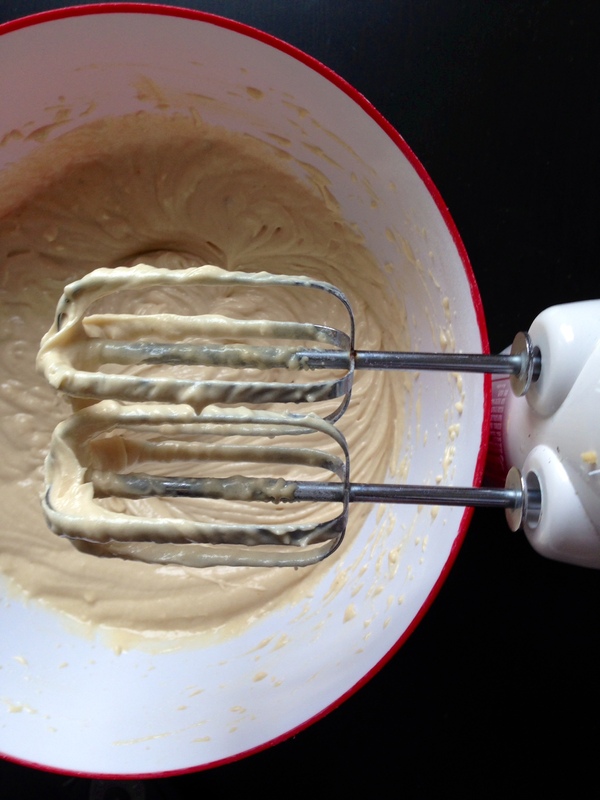 CREAM: together butter or margarine, white sugar, brown sugar (the 1/2 cup), sour cream, eggs, and vanilla. Then add to the dry ingredients and blend until smooth. GREASE & FLOUR: a large bundt pan. Pour 1/2 the batter into the pan then sprinkle the filling on top of the batter and then cover with the remaining batter. BAKE: for 45 to 50 minutes then let it cool before topping with the caramel icing. CARAMEL ICING: Mix unwrapped caramels and milk together. Microwave for 2 minutes, stirring after every 30 seconds. Pour over cooled cake, and add chopped pecans if desired! Posted in Baking, CakesTagged baking, blog, bundt, cake, caramel, coffee, fall, food, recipesBookmark the permalink.